The Cabana at Jensen Dunes visit experience was fair. I think the gentleman we spoke to was very nice, but he wasnt expecting us, and we didnt have anything to eat there. The place is beautiful, brand-new, and everything is clean and neat. They have a brand-new beauty salon. The Cabana at Jensen Dunes was a very nice community. The rooms were spacious. The handicap accessible apartments were wonderful. They had pull cords everywhere and they had handicap showers and bathrooms. They offer breakfast, lunch, and dinner. It's beautiful and everybody seemed very matter-of-fact. I knew the people who were living there from our own community that we live in. They were all very accommodating. I was impressed with all of them. They were doing a church service when I was there and there were people singing. They also do bingo. The Cabana at Jensen Dunes is a wonderful, high end place. The staff is wonderful and very personal; they're like a family. I am very impressed. He has a studio. They have a pool and upstairs they have memory care. They also have a gathering room downstairs where they sing, which is like a bar. They have a really nice restaurant with very good food. The Cabana at Jensen Dunes is wonderful. There are exercises available. We have three meals per day and they're all excellent. The staff is professional and friendly. They do weekly laundry, transportation to doctors' offices, and also shopping trips. RCY, We are so very happy that you have chosen The Cabana as your home and thank you for sharing your experience! The best way to get to know a community is by scheduling a tour. 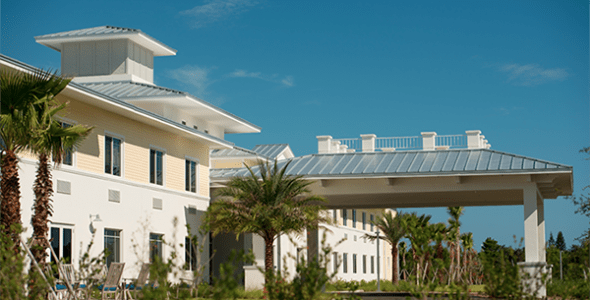 See the facilities, meet the staff and residents, and get a feel first hand what it's like to live at The Cabana at Jensen Dunes Assisted Living. Here at The Cabana at Jensen Dunes we know that everyone deserves dignity and respect. Cabana takes a mind-body-spirit approach this approach is designed to address the Six Keys to Living Well, this, in turn, allows us to provide our residents with most of the things that they need. We provide our residents with a costal-casual atmosphere and upscale amenities. We have spacious common areas that offer coffee, private dining rooms, and a cocktail bar. For our residents who want to get some fresh air while they eat, we have a covered patio. We have well-manicured outdoor courtyard's, putting green, Bocce ball court, and gardens. For our residents who want to stay fit, we offer a state-of-the-art fitness center with a qualified professional to make sure our residents stay safe. Complimentary WiFi is available, an art studio, game center, and library are available to residents as well. To ensure that our residents are taken care of at all times we have nurses that are on staff 24 hours a day, doctor's offices and exam rooms are available in both assisted living and memory care, we have a rehabilitation clinic on-site that provides speech therapy, physical therapy, and occupational therapy. To ensure our residents safety at all times we have an emergency call system. We provide transportation to medical appointments, shopping, and cultural events. Parking for personal vehicles is available along with a large outdoor entertainment area that includes an outdoor grill, pool, TV, and a pool house.